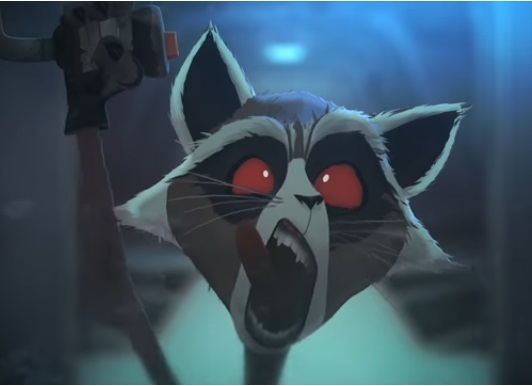 Inspired by Skottie Young’s art, this webseries spins out of Disney XD’s animated Guardians of the Galaxy series. Featuring that show’s actors Trevor Devall as Rocket and Kevin Michael Richardson as Groot — we have seen the future. Today. 12 episodes will be released over the next few weeks. Enjoy.